School Spirit - Williamson Road Junior Public School - Page 1 - NRG Active Apparel. A Property of Raised Edge Incorporated. 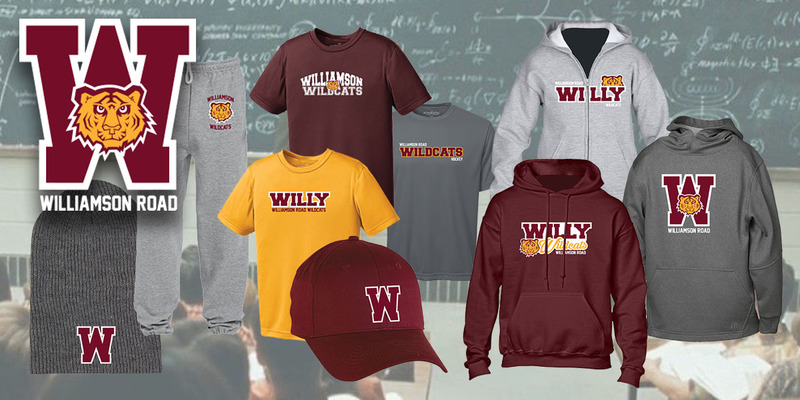 Welcome to the new Willy Wear website! Orders are placed and paid for online - orders submitted by the 10th of each month will be delivered to the school in the last week of the month. Note that due to the custom nature of these products, items cannot be returned so please make sure sizing is correct (sizing samples are available in the office). When sizing, consider that cotton hoodies and track pants will shrink, technical fabrics do not.